I am so thankful for all the friends and family that have rallied around Baby Yusuf’s arrival. 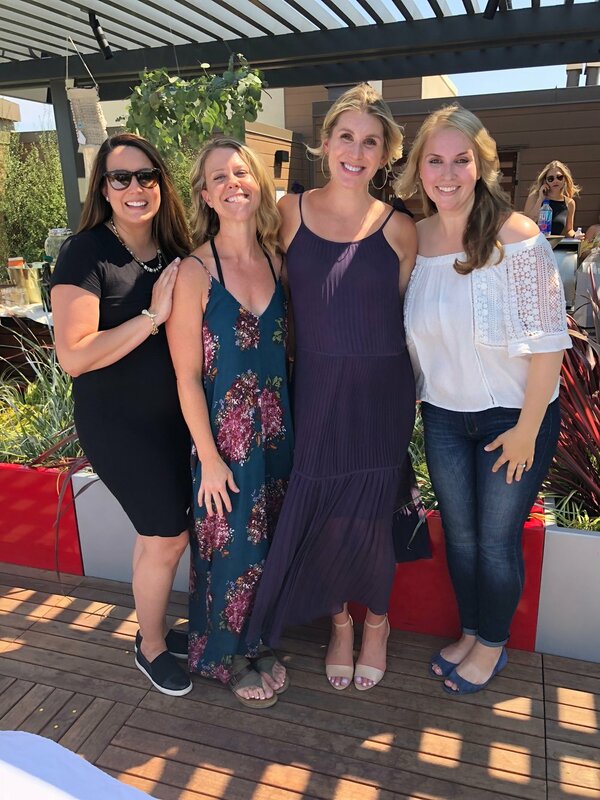 I was fortunate enough to have multiple baby showers: with family in the Midwest, the Lift Exercise Studio posse, my co-workers and my California friends. 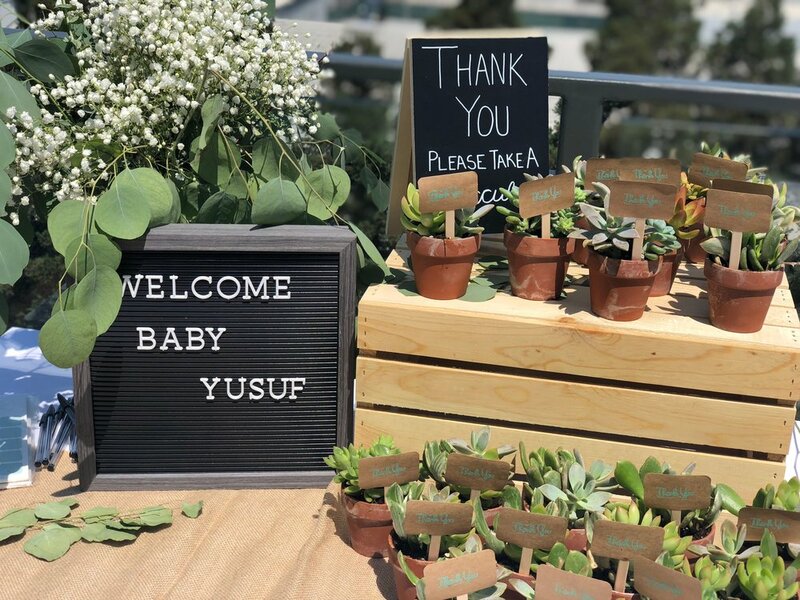 Baby Yusuf has been showered in so much love and Tunji and I are so thankful we have such an amazing community (in and out of CA) to raise our little one! 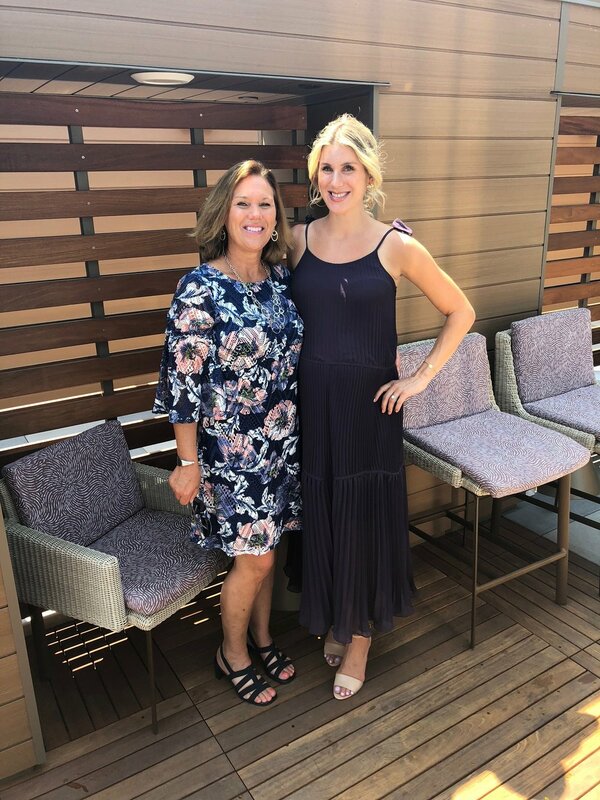 My friend Monique hosted this beautiful baby shower and no detail was overlooked. The setting was beautiful, the food was delicious and the company was even better! Have a vision and do not be afraid to share the vision (helloooo Pinterest)! 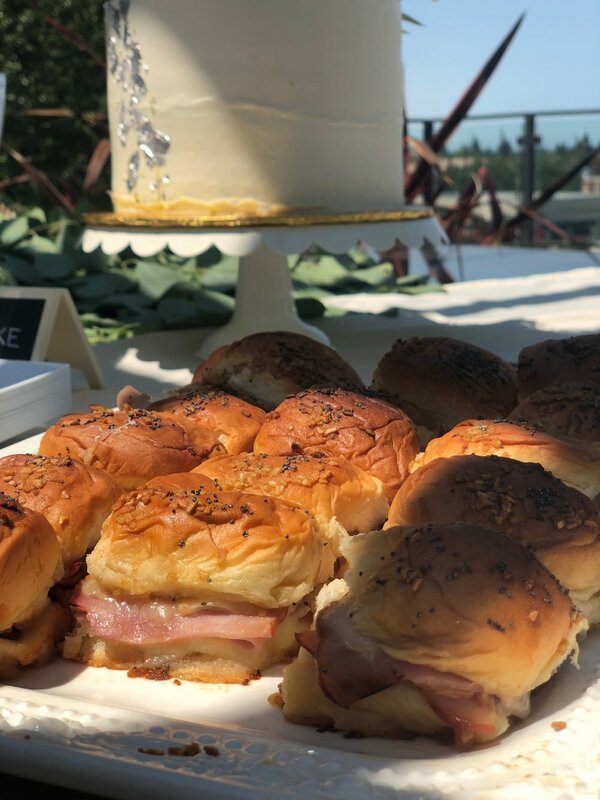 The hostess asked for ideas regarding what I liked regarding a baby shower vision, and I quickly created a Pinterest board and shared with her. She was an amazing hostess and create a magical setting. Why not ask guests to bring their favorite children’s book in lieu of a card with a personalized message inside the book for you and your baby to read later on. Sadly, cards get thrown away or recycled. Books will last a lifetime and they can be handed down from generation to generation, and it is a great way to build a library for first time parents. Monique asked all guests to pre-address thank you card envelopes before guests left the shower and this…was…amazing! It was such a timesaver when writing out all of my thank you cards. Sharing is caring! Monique asked guests to bring different dishes to ensure the ensure table was filled with all sorts of delicious goodies for noshing. Keep any games simple and short. People want to chat and enjoy the shower and games can become distracting if they are too elaborate or long. Have your cake and eat it too! The cake was the centerpiece of the table and it was beautiful! It was super delicious and I was so appreciate of the thought that went into the flavor selection. It was too pretty to eat….but somehow I managed to eat my portion (and one for baby Yusuf, too).